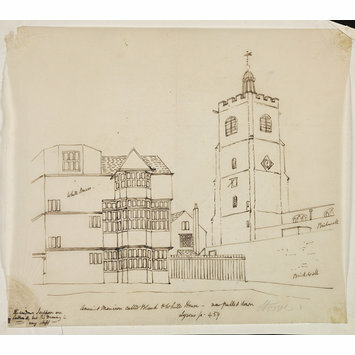 Pen tracing of a picture of the Black and White House in Hackney, next to a church. 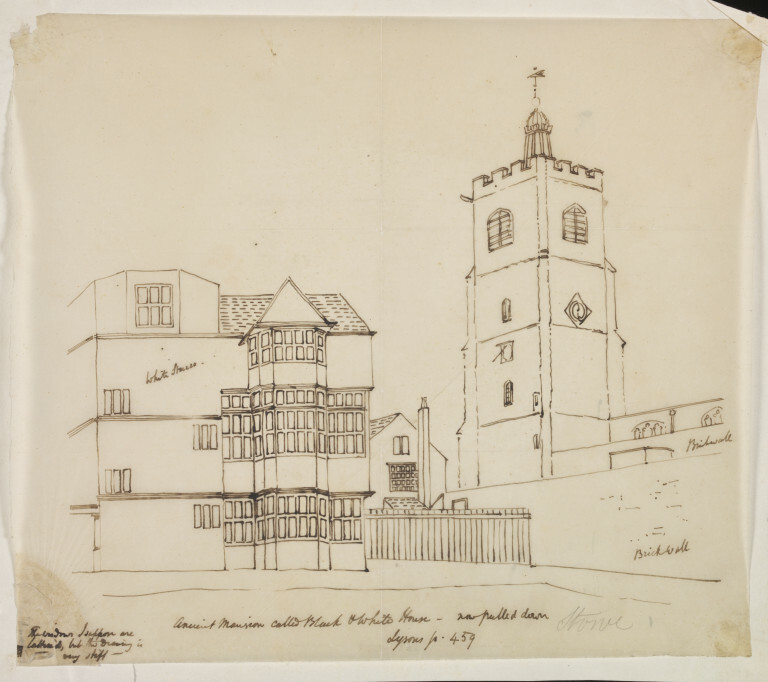 The Black and White House, on the junction of Mare Street and Morning Lane in Hackney, was built in 1578. In the 17th century it was the residence of the Vyner family, and was later a girls’ boarding school. It was demolished in the late 18th century.